Every dog owner wants the best for their dog and getting them vaccinated is one way to ensure that they enjoy good health. Dog behavior after rabies vaccine may change due to a reaction to the vaccine. 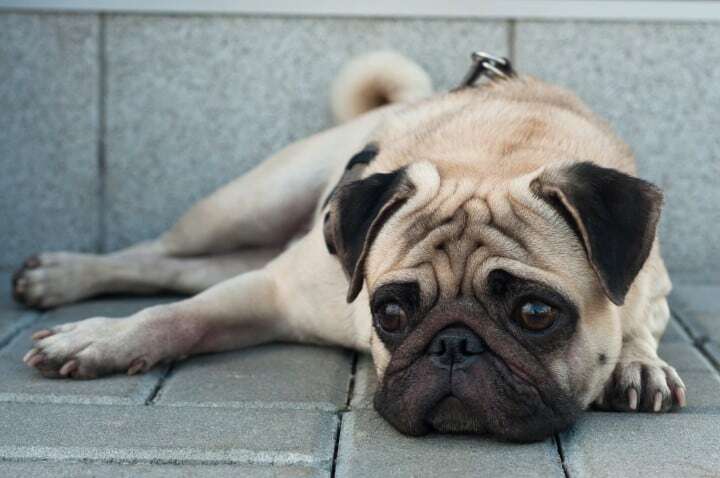 Some of the dog behavioral changes after rabies shot that you may see include allergic reactions, itching at the injection spot, or aggressive displays of behavior. Unfortunately, there is not much you can do for your dog should he happen to react to the vaccine except to rush him to the vet immediately. Treat any strange dog behavior after rabies vaccine as an emergency. 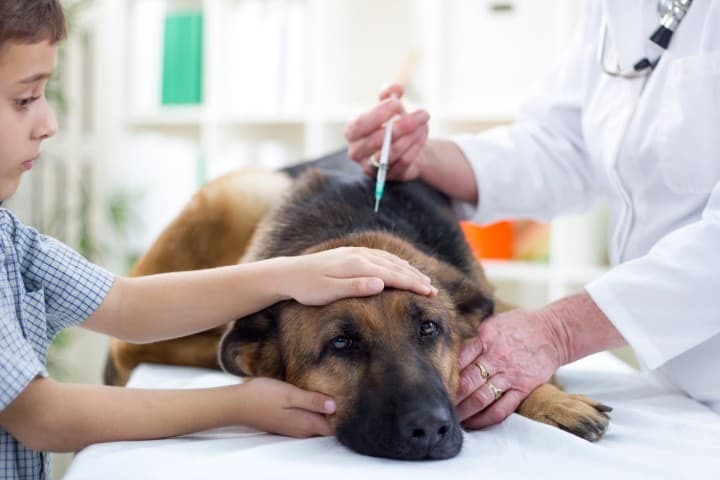 Allergic Reactions To The Vaccine: It is advisable for all dog owners to closely observe their dog for serious allergic reactions to vaccines, especially when getting the first vaccination. There are cases where dog behavior after rabies vaccine includes weakness, difficulty breathing or shock. These are some of the symptoms of anaphylaxis which is an allergic reaction to vaccinations that have chemicals added to them to make them stronger. To be on the safe side, find out the nature of the vaccine your vet intends to give your dog to avoid any surprises. The alternative would be to request that your dog receive an antihistamine shot first to better manage any possible dog behavioral changes after a rabies shot. 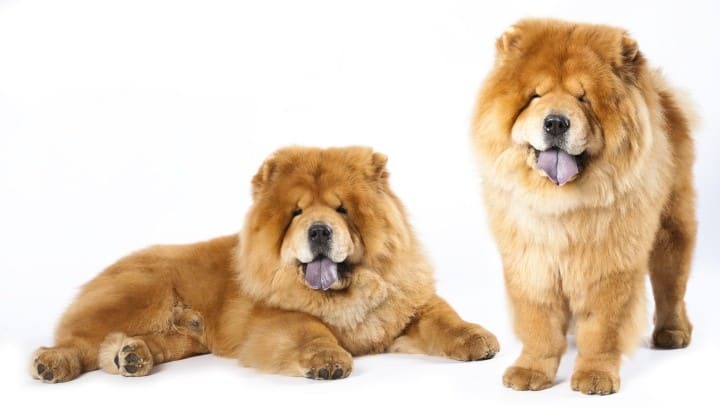 Behavioral Reactions: There are particular dog behavioral changes after rabies shot that stand out and should be a cause for concern with any dog owner. Behavioral reactions to the rabies shot may vary between aggressive behavior towards both humans and animals, suspicious behavior, a lack of affection, confusion, separation anxiety, a lot of barking bordering on excessive, tail chewing and destructive behavior. Aggressive displays of behavior after rabies vaccine have been linked to Rabies Miasm, a condition in which the dog behavior after rabies vaccine mirrors the symptoms of having contracted rabies. Once again, the best course of action is to alert your vet who will advise you on what needs to be done to treat your dog. Local Reactions: Sometimes the rabies vaccine may cause irritation on the dog’s skin at the site of the injection. 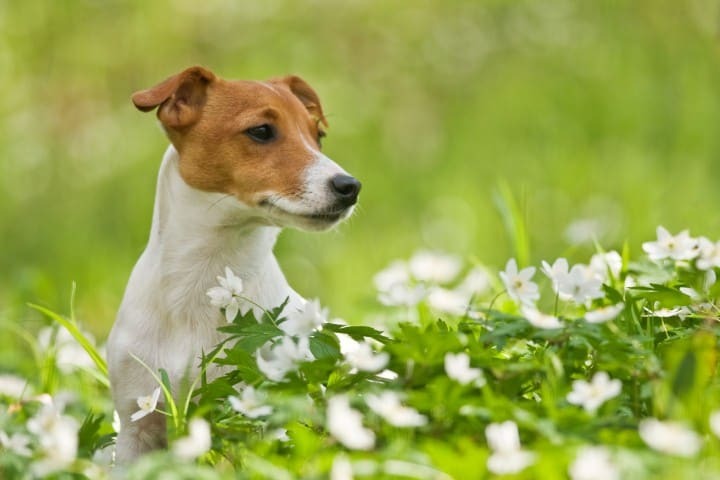 Dog behavior after rabies vaccine may include itchy skin, a reluctance to let you touch him due to pain at the location of the injection, and possible redness and swelling. The rabies vaccine is a combination of components to which some dogs may react. Should your dog happen to display these canine behavioral changes after rabies vaccine, handle him carefully and apply a compress to the site of the injection to ease the irritation? If the irritation persists, as mentioned earlier, take your dog to the vet to get direction on what should be used to treat the reaction. Medical Reactions: There are s0me medical reactions you could notice after a rabies vaccination like drooling, eczematous ears, reverse sneezing, stomatitis, poor hair coats, throat or tongue paralysis, lipomas, Dry eye, loss of sight, cataract, Chronic poor appetite, Auto-immune diseases and some serious but not frequent delayed problems like cardiomyopathies (heart problems), heart failure, thyroid disease and epilepsy. If you identify any of these types of reactions you should take action and either call or take your pet to the vet or the closest animal emergency center as soon as possible. If you are not able to detect the type of reaction it is better anyway to give your veterinarian a call and describe what you see, the vet is a professional that will let you know how to proceed. To maintain the good health of your dog, it is important to get him vaccinated. As with any vaccine, keep a close eye on your dog to manage any unusual changes in dog behavior following rabies shot. Should any complications occur, contact your vet immediately as your dog’s life may depend on it. To get information about pre-vaccination behavior and post-treatment the recognized dog behavior trainer Julie Hindle created the book “Pre-Vaccination Puppy Training: a sure-start guide for you and your puppy, with a lot of tips and a lot of advice that will help you to smooth the process of getting your dog vaccinated.